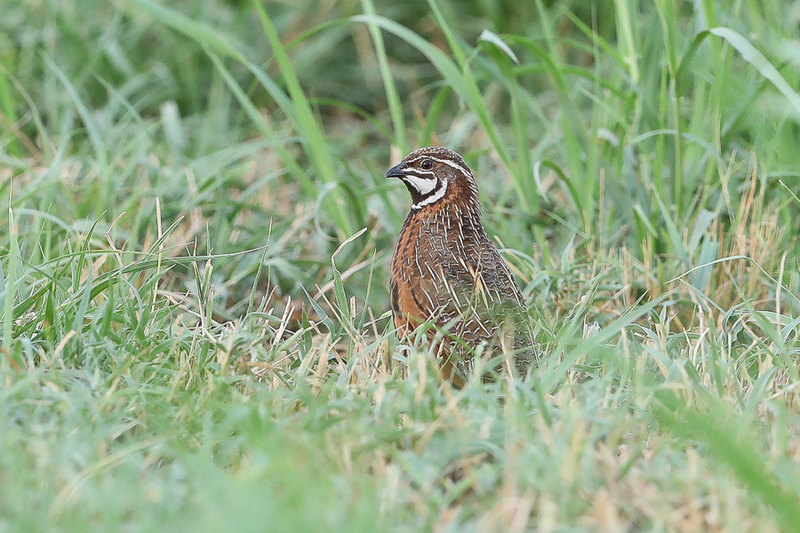 Whilst birding the area just north of Jizan on 7-8 July 2017 I saw at least six Harlequin Quail Coturnix delegorguei with many other birds calling. 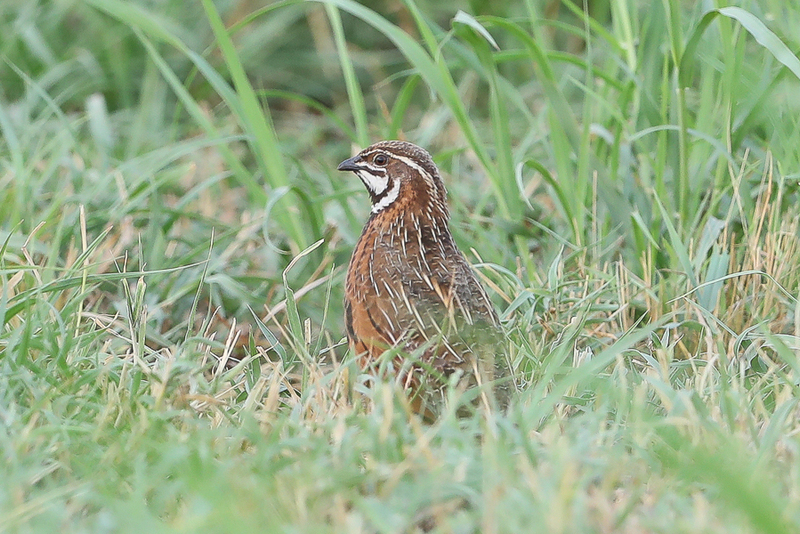 This species had not been recorded in Saudi Arabia for many years, until I found some in the same area in 2015. On the 6 July Phil Roberts and I flushed a male and female bird and got very good flight views as they flew a long distance across a field. We were there at around midday when it was very hot and no calling birds were heard. The next day we went back first thing in the morning to see if birds were calling and heard a minimum of ten calling birds out of which we managed to see six including five males and a female. They would run very quickly from one area of cover to another but luckily one male ran, stopped in a slightly open area, called a couple of times, and ran off again. This brief stop to call allowed me to get a couple of photographs of it that are shown below. As far as I am aware, these are the first photographs of the species ever taken in Saudi Arabia. This is even more important as the race that occurs in southwest Saudi Arabia is C. d. Arabica and only occurs in SW Saudi Arabia and Yemen and the records are outside the migration season for this species. This subspecies is slightly paler than other races but is thought by some to possibly not be a valid subspecies, although is recorded as one by the IOC and in the Handbook of Birds of the World (HBW). HBW states, however, “race arabica, only slightly paler than others, possibly not valid, as most records in its range considered probably migrants from Africa; further study needed”. 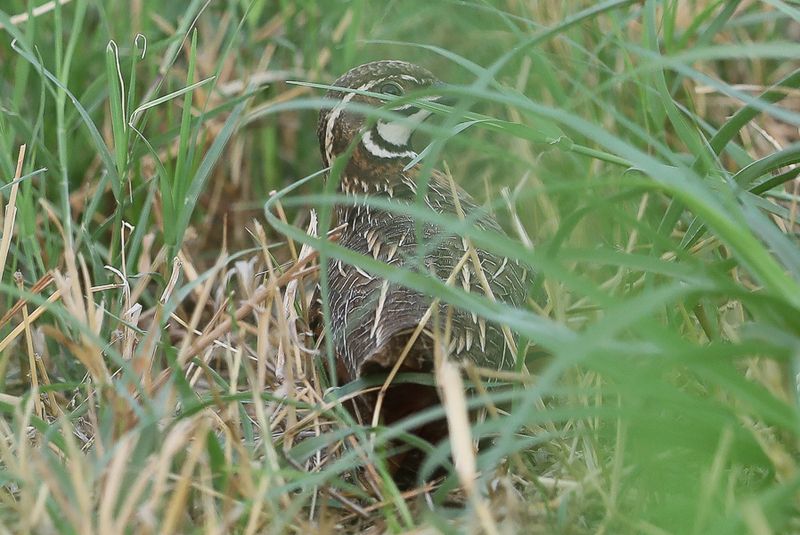 The male has a very distinctive head pattern being a combination of black-and-white, black breast and chestnut flanks with the female being similar to Common Quail although the size of the birds is slightly smaller. They favour open grassland with scattered bush cover and cultivated areas and have apparently been recorded in all months in southwest Saudi Arabia, mainly in the late 1900’s, where they are assumed to be resident.